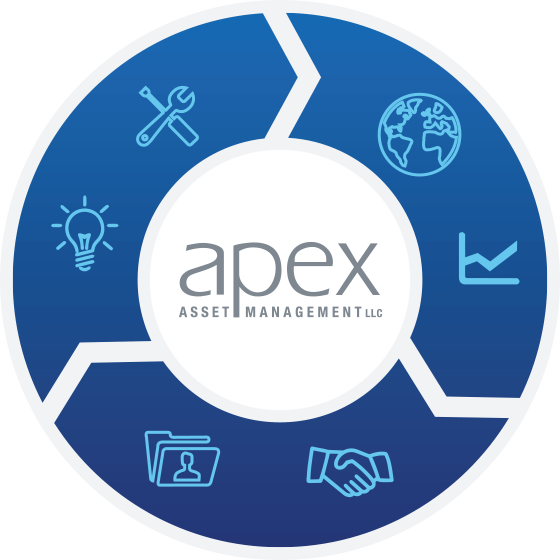 At Apex Asset Management, we approach everything we do with the same commitment to integrity that has grown our company into the industry leader that it is today. Our best-in-class technology and expertise allow us to accelerate cash flow and increase recovery, while managing our clients within the guidelines of their policies and procedures, and those of different payors. We represent our clients within the framework of their organization, effectively resolving accounts in a way that is consistent with their procedures and sensitive to their position in the market. As a consistent industry leader in developing new technologies to help our clients achieve their goals, Apex’s comprehensive package of products and services enables our clients to limit their risk and maximize return, while operating in a safe and secure environment. When combined with a knowledgeable and professional staff at your disposal ensuring that you receive the most from the tools we offer, the result is a partner that maintains a high level of accountability making certain you get the best possible return across your portfolio of accounts. Apex has led the way in discovering and developing new technologies to help our clients meet their goals. The result is a comprehensive package of products and services that enables clients to limit their risk and maximize return, while operating in a safe and secure environment. Apex places a knowledgeable and professional staff at your disposal. Our staff works with you to ensure that you receive the most from the tools we offer. Apex maintains a high level of accountability to guarantee you get the best possible return across your portfolio of accounts. John Kline and Jeff Holloway, both with extensive credit and collections backgrounds, teamed up to form Apex Asset Management. Designed from the ground up to give our clients a new level of partner in the third-party debt collection industry, Apex officially formed in 1997. Starting with its first day of operation, Apex continues to strive to integrate unparalleled customer service, technology, education and innovation into every work flow and process. 1997 – Account Management Services, LLC (AMS), with shared a ownership structure, formed in response to an overwhelming need in the healthcare community for third-party payer and patient collection services that approach recoveries from a client-based first-party perspective. 2013 – Apex launches a proprietary 270/271 batch eligibility engine with a direct connection to several major payers, ensuring no health insurance coverage goes undiscovered for our clients. At Apex, we integrate our system into yours – and our process into your workflow. From the day your business loads into our system, we work to protect you, while maximizing recovery of your revenue, all without burdening your staff. From day one, we verify accounts not only for accuracy but also for bankruptcies, deceased accounts, assets and contact information. We have systems and certified personnel dedicated to recovery, thus minimizing the impact on your staff and compliance operations. From reporting and reconciliation to government compliance, our process is our advantage. It’s what we know. As an organization that believes in continuous learning and improvement, Apex recognizes the importance of being actively involved in industry-related affiliations. These organizations allow us the opportunity to stay informed, connect with partners, and enhance performance through education and resources.